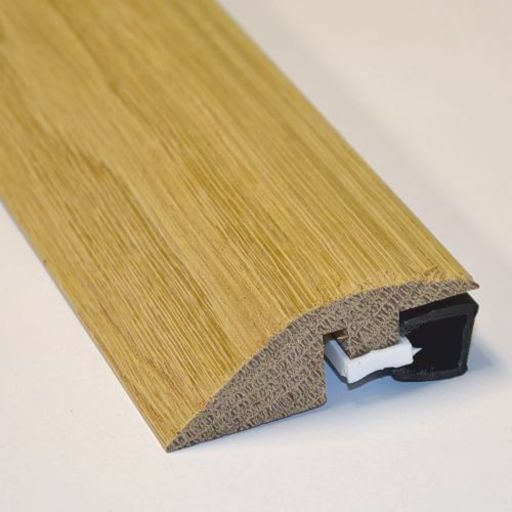 Solid oak reducer threshold lacquered, with full ramp (solid to vilyl/tile). Supplied with PVC fixing track. It is available in 20 mm height, 59 mm width and 900 mm lengths.